Well no wonder it is free, I see the problem the door slams on your hands. What you need is a stick, fix it right up. Is this still available? 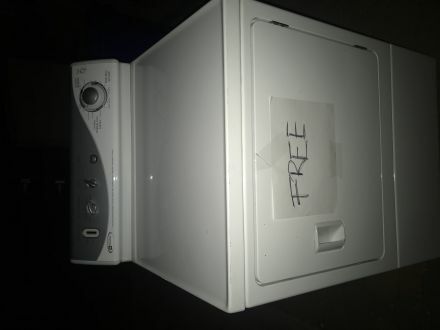 I have a friend with limited means looking for a dryer after hers quit. She's in BBC off of Paradise. Can you deliver it for a small fee?